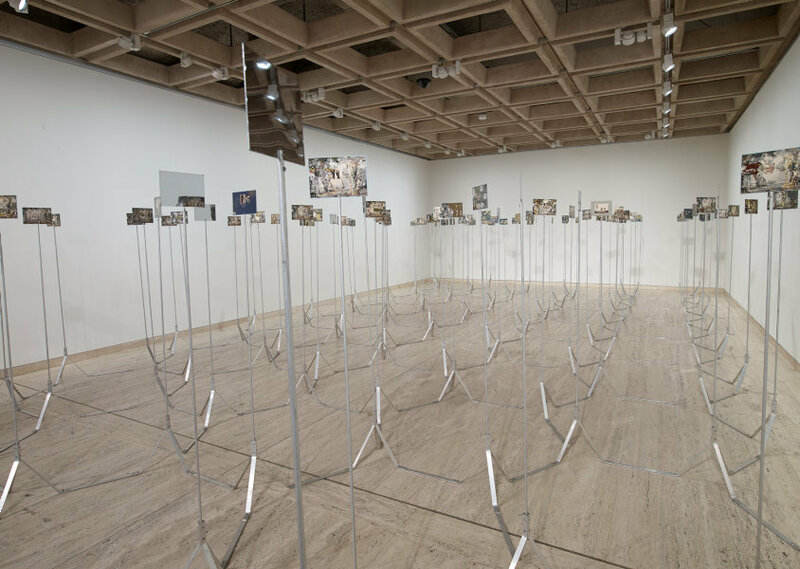 Imants Tillers' installation 'Conversations with the bride' 1974-1975 stages a critical dialogue with Marcel Duchamp's famed painting 'The bride stripped bare by her bachelors, even' 1915-23, also known as 'The large glass'. 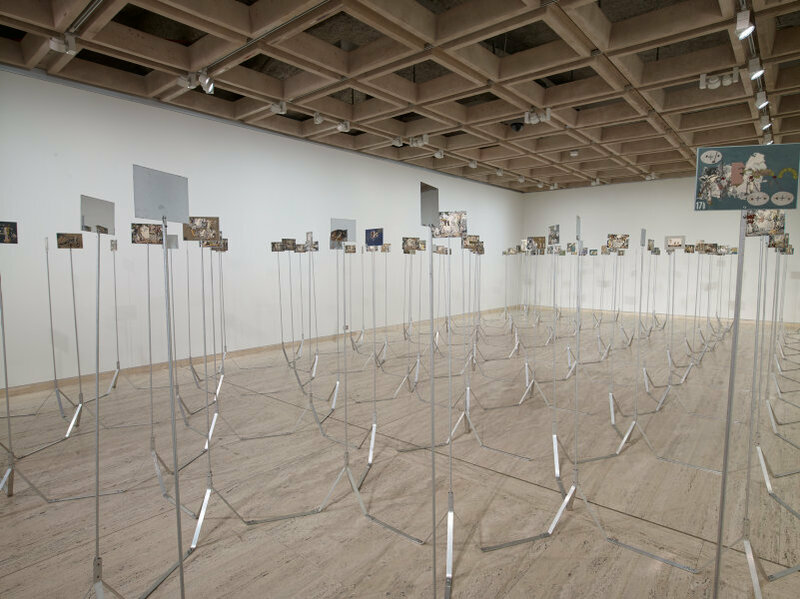 Tillers' 'Conversations with the bride' comprises a system of 112 miniature paintings and photographs, fixed atop of 'coupled' aluminium tripods. 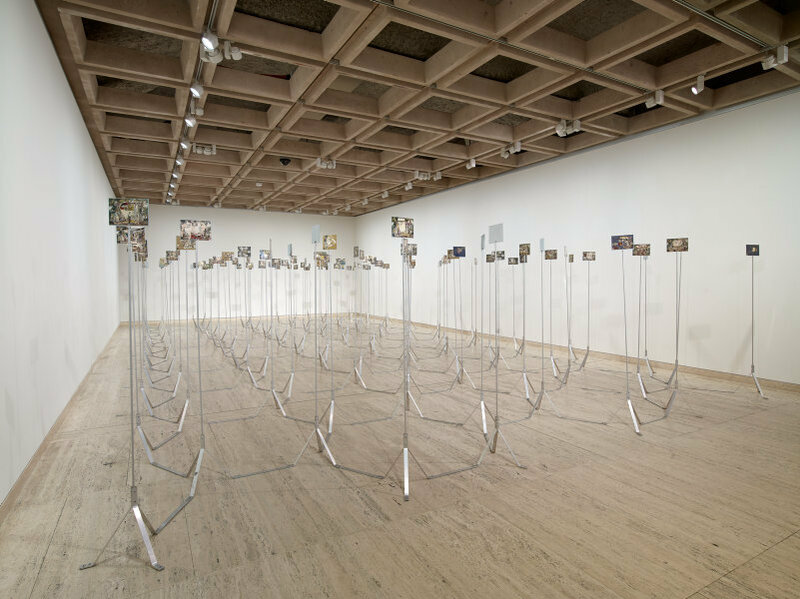 Each image is appropriated from Duchamp's 'The large glass', as well as Hans Heysen's emblematic Australian landscape watercolour 'Summer' 1909 in the Art Gallery of New South Wales' collection, and textbook illustrations of gum trees. 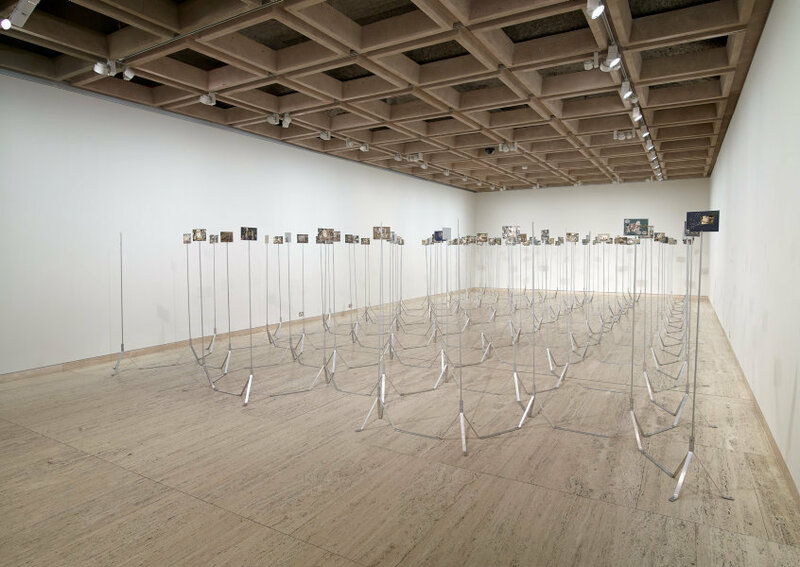 The work exemplifies Tillers' postmodern strategy of 'intertexuality' whereby the relationship between artworks, artists and viewers is explored through the layering of historic and contemporary references from art and literature. 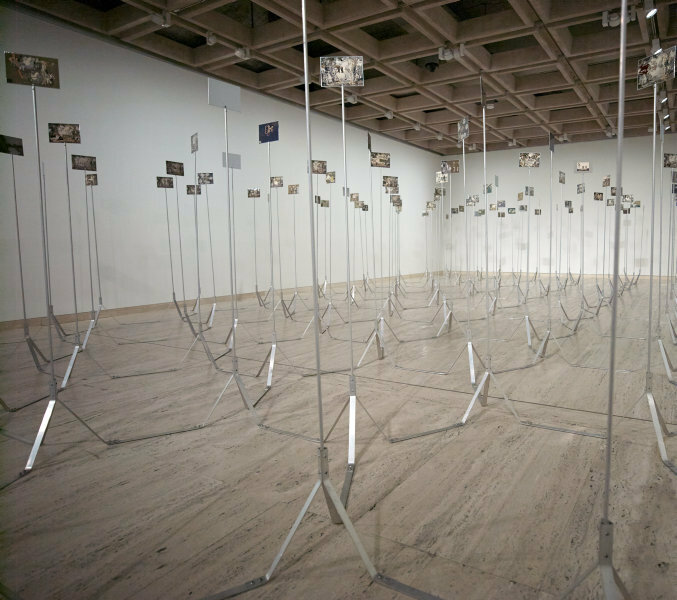 Wayne Tunnicliffe, Contemporary: Art Gallery of New South Wales Contemporary Collection , 'Cultural memory, critical distance', pg.154-203, Sydney, 2006, 156, 198 (colour illus.). Imant Tillers: one world many visions , 'Introduction: a work in progress', pg. 1-17, Canberra, 2006, 6 (colour illus. ), 7. 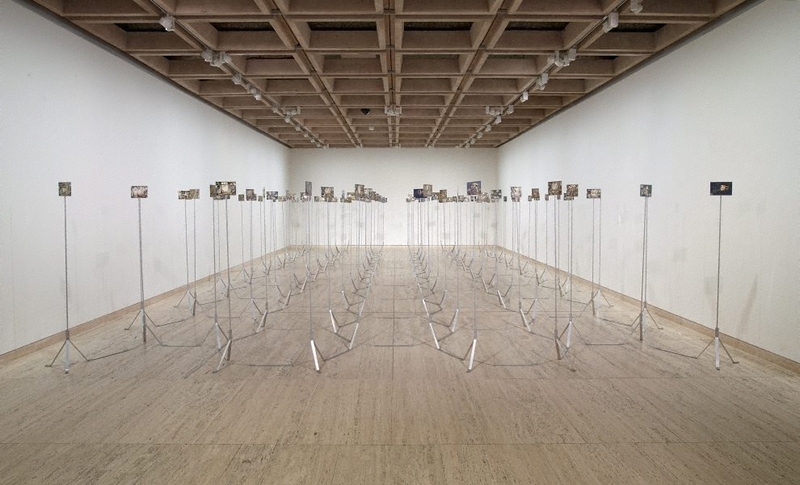 Imants Tillers and the 'Book of Power' , "Part 1: Imants Tillers', Singapore, 1998, 12-14, 12-13 (illus. ), 17, 19.